UCU Law Extra is able to offer these services to you at competitive prices by our partner Slater and Gordon. UCU may receive a referral fee and such proceed will be used to support our front line service to members. Our divorce solicitors know that divorce often involves high emotions, especially when there are children involved. Our team of divorce solicitors & child lawyers are sensitive to your needs during this difficult time, and work with you to resolve your divorce with compassion and efficiency. We can explain the common aspects of the divorce process, including the legal terms you will hear during the divorce procedures. We also try not to use legal jargon when we communicate with you. Slater and Gordon offer UCU members a web-based facility to make their Will online through our legal document production website; please note that online registration is required. Making a Will is something many of us put off until it's too late. A recent market study found that 56% of those asked said they hadn't written a Will. The only way to ensure that the people you want to benefit from your estate in the event of your death is to write a legally enforceable Will. A Will helps avoid what might otherwise be complicated and sometimes unpleasant circumstances that those you care about will have to manage. In order to receive your Document Only or Law Firm Managed Will, please register on YourLegalDocuments.co.uk and purchase your Will using the online shopping system. Once you set up an account you can add and save your documents so you can complete them at your leisure. In order to receive your discount code please email legalservices@ucu.org.uk with your membership number and you should receive your code during the next working day. When someone dies there are a number of important tasks that need to be completed. If the person died leaving a valid Will, then the named executors take on this responsibility. In the absence of a valid Will, the person is said to have died 'Intestate' and the intestacy rules determine who can be appointed as the administrators of the estate. The role of executor or administrator can be an onerous one. The deceased's estate may involve valuable or complex matters and an executor or administrator is personally liable for administering the estate correctly. Every executor or administrator can instruct a solicitor of their choice to assist them with the estate administration and the legal fees are settled by the deceased's estate. your family would have to apply to the Court of Protection to secure your benefits, arrange appropriate care and access insurance payments or pension benefits. Lasting Power of Attorney is a legal document which allows someone you trust to make decisions about such things as your health care or finances at a time when you lack the mental capacity to make those decisions yourself. The person making the Lasting Power of Attorney is known as the Donor. The person that the Donor authorises to act on their behalf is known as the Attorney. There are two different forms of Lasting Power of Attorneys that can be made. One deals with your property and financial affairs. The other deals with your health and personal welfare issues. Under a Property and Financial affairs Lasting Power of Attorney, your attorney can do anything in relation to your property and finances that you could do yourself, eg. buy and sell property, manage your investments, open and close bank accounts, claim benefits and pensions and carry on your business. Under a Health and Welfare Lasting Power of Attorney, your attorney can make decisions about social care issues and medical treatment, including life-sustaining treatment. You can make one form of Lasting Power of Attorney without making the other. You may choose more than one attorney. If you choose more than one, you must decide if your attorneys must always act together or whether they can also act independently of one another. You can also choose to appoint a replacement attorney who will act if the initial attorney is unable to or their appointment is revoked. You can apply conditions and restrictions to the use of the Lasting Power of Attorney by your attorney and you may also add guidance to your Attorney as to how you would want them to use the Lasting Power of Attorney. The Office of the Public Guardian maintain a record of all registered Lasting Power of Attorneys. Slater and Gordon's team of Lasting Power of Attorney Solicitors can help you with the important decisions. They can make sure that your welfare is looked after should the day come when you can no longer make decisions for yourself. Buying or selling your home can be a daunting process, no matter what type of transaction is involved. Having a trusted law firm with experienced conveyancing solicitors on your side is invaluable and we'll be happy to help you and explain the process in plain English. We pride ourselves on making your conveyancing transaction run as smoothly and as stress free as possible. All you need to do is get in touch with one of our team, explain your circumstances and then we'll provide you with a fixed quote for the transaction. Our conveyancing solicitors have had extensive experience in carrying out property sales and purchases, looking after the best interest of their clients and ensuring that there are no hidden problems down the line. You can be reassured that you are in safe hands. Slater and Gordon provide legal advice and give clear assistance on all issues which may arise for landlords when dealing with rental properties. When dealing with any legal issue for landlords we endeavour to provide advice and assistance that is commercially beneficial and also cost effective. advising in respect of houses in multiple occupations, and assisting in the legal requirements that flow from that. Some landlords can experience problems with tenants and as a landlord you need to know you have a team who can help with these issues should they arise. Our dedicated team have a huge amount of experience giving legal advice to landlords on rental properties. We also provide advice to tenants when they may have issues with their landlord. We can advise you 24/7 and provide legal representation for driving offence. The expertise that our Solicitors use on a daily basis gives you the best possible chance of keeping your licence and staying on the road. At Slater and Gordon we know that when you go to a professional for help the last thing you expect is negligence. However, professionals do make mistakes and our Professional Negligence Lawyers specialise in resolving these mistakes through negotiation, arbitration or Mediation. Immediate legal representation is available throughout the UK. When a medical diagnosis, surgical procedure or a hospital treatment goes wrong, the impact can dramatically change your life and affect your family. Having specialised in cases of medical negligence for many years, Slater and Gordon understand just how much life can change at this time and it's our aim to make the claims process as easy as possible for everyone concerned and ensure the best possible outcome is achieved. Whether helping with benefits or protecting any compensation awarded, it's also our aim to help reduce the burden of dealing with any of the additional worrying issues faced at such a difficult time. Deciding whether to pursue a claim is a very important decision and advice from specialist lawyers who are extremely experienced in this area of law is essential. Slater and Gordon's Medical Negligence team are experts in this field with many years' experience, during which time they've been involved in some of the most important and ground-breaking cases. 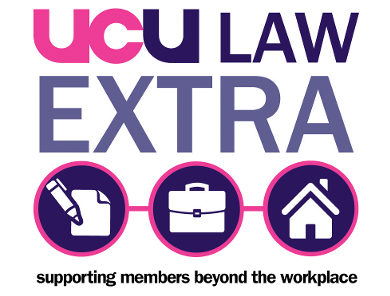 *UCU Law Extra is a service provided in England, Scotland and Wales by Slater and Gordon (UK) LLP who are authorised and regulated by the Solicitors' Regulation Authority, reg no. 568143. If you live in Northern Ireland the service will be provided by Donnelly and Kinder Solicitors.